About | Book Hub, Inc.
Book Hub Inc. is a rapidly growing eBook publishing and distribution company looking to form long-lasting relationships with both emerging and established authors and publishers, book reviewers, and avid readers. Over the last five years we have been leaders in eBook production, design, and customer service in the transitioning eBook publishing industry. We specialize in eBook publishing, including formatting and conversion, eBook distribution to major eBook retail accounts like Apple, Sony, Amazon, Google, Kobo, and Barnes & Noble, eMarketing programs, editing and book design, and all sales operations tasks, including reporting. While we offer effective eMarketing strategies for authors and small publishers, and an array of both eBook and traditional book publishing services, most importantly we offer a resource for readers and reviewers to discover new and upcoming authors! If you’re interested in our services and pricing, would like to submit your book for publishing consideration, or if you would like to be added to our mailing list to receive updates on new releases and special promotions, please email info@book-hub.com. Thanks for the follow on my blog! 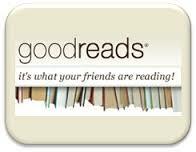 Will bookmark your page for when I finish my novel. Please keep us in mind! Best of luck to you as you finished your novel. Hey, thanks for dropping in on my little blog and for the like. Appreciate it! I want to let you know that I have nominated you for the Dragon’s Loyalty Award. Thanks for the follow 🙂 will definitely keep an eye on this page! Thank you for the blog follow. I really appreciate it. Thanks, we hope you do! Thank you for your participation with Book Hub’s blog. We enjoy building the Hub community and we hope you enjoy the blog and those participating.